Shady financier Leo Freeman’s decision to knock down the Orchid ballroom has far-reaching consequences - as daughter Nell meets the extraordinary Patrick Vernon - and the hunt for a missing tape reveals a history of musical passions and romantic jealousies stretching back to the dawn of musical time. Create Onsight were once again commissioned by the Belgrade Theatre to design, produce and supply artwork for their upcoming production of Godiva Rocks. 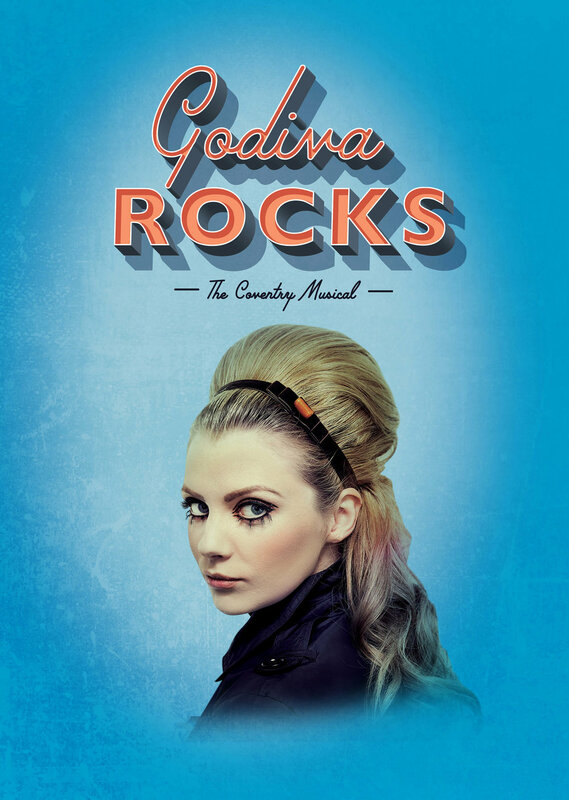 As a home grown production the pressure to sell tickets is greater than ever, so it was of paramount importance that the design was pitched to the correct audience. The story harks back to 1964 and goes right through to modern day. Heavy emphasis has been placed on the look and feel of the early 60’s music and fashion with the title treatment designed in 60’s diner style. 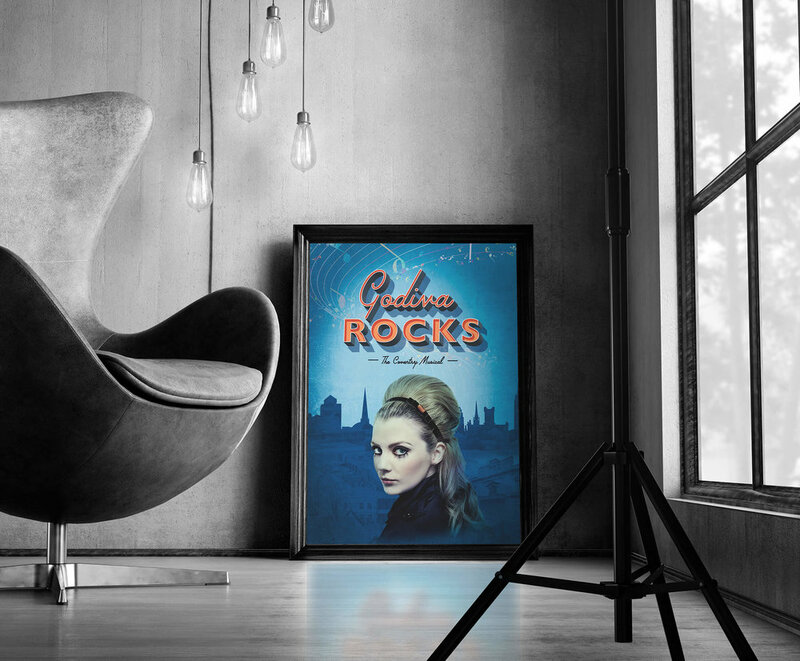 The artwork was translated to banner stands, flyers, posters, badges and outdoor advertising. 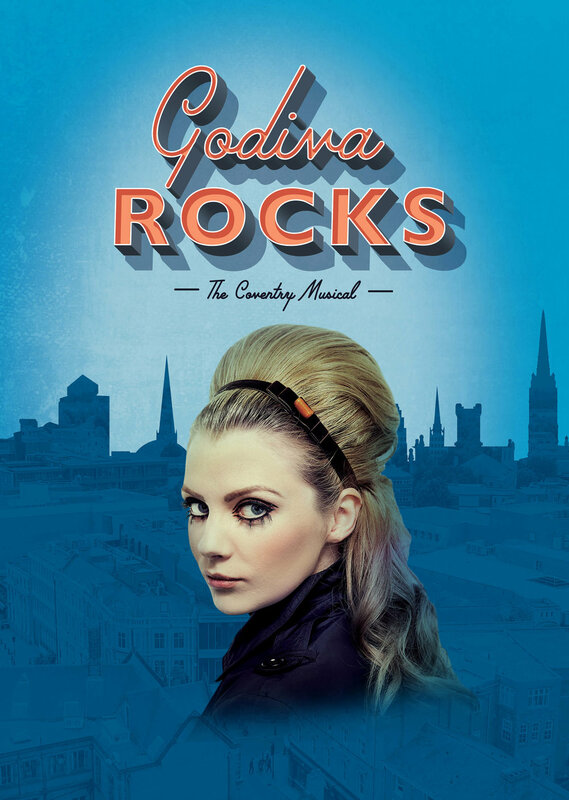 Godiva Rocks is a celebration of Coventry music from the 1950s to the present day - the greatest sounds ever from England’s Motor City! 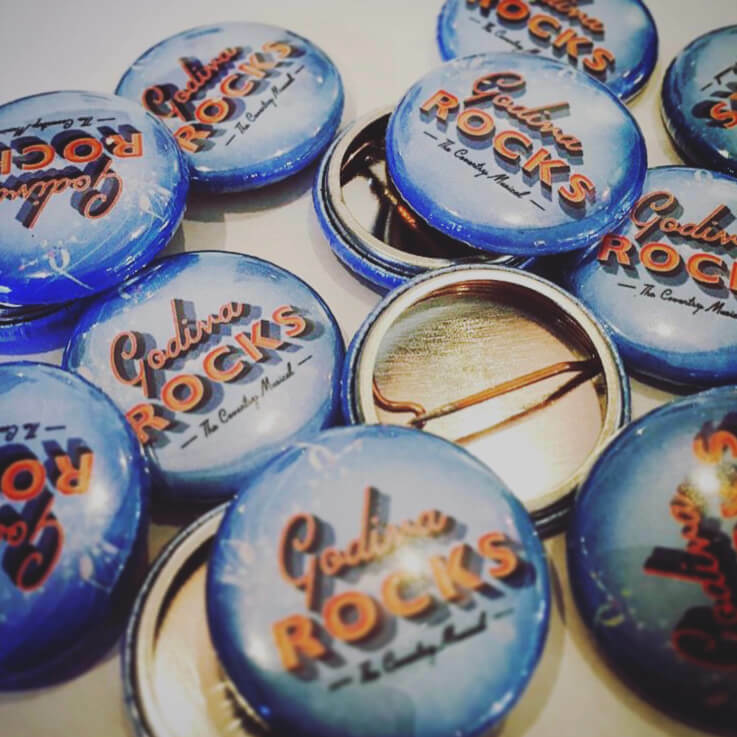 promotional badges for Godiva Rocks - a simple but effective way to promote the production.